A great find two relics from a bygone era. Wow, what a find !! Looking at the cutting edge of the suspension design, I sure hope it had a well padded seat !!! Great shot !! 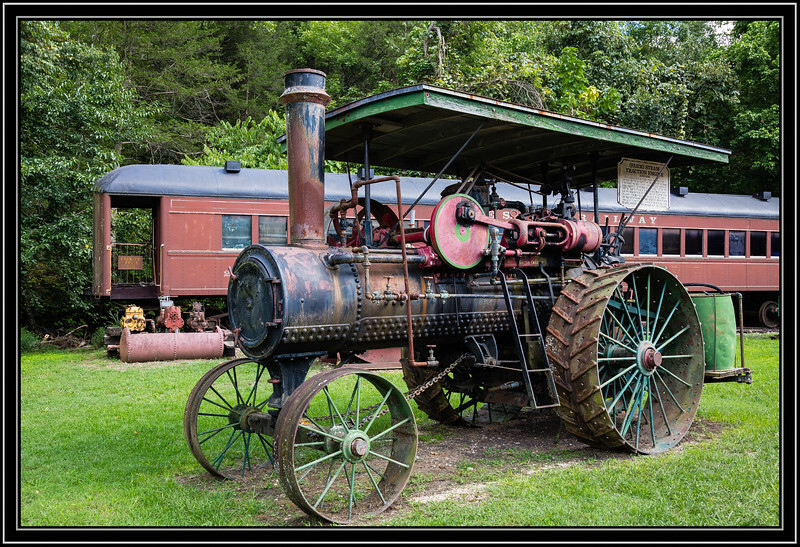 Love this old steam tractors - they are just so tough looking, and I'm sure they were. Great find and shot. I like the train car in the background too. Very nice Rick. Great capture. That's all part of traveling. Very nice. Good eye getting both the tractor and the train.